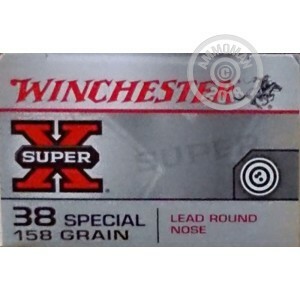 This .38 Special ammunition from Winchester is a great choice for a day of outdoor target practice without breaking the bank! 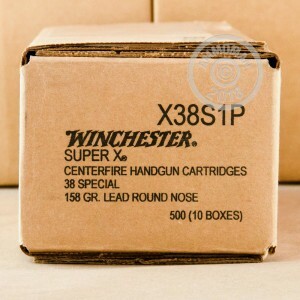 Each cartridge in this box of 50 fires a 158 grain lead round nose bullet at a muzzle velocity of 755 feet per second. They generate very mild recoil and make faster follow-up shots easier. This makes these rounds ideal not only for static range training, but also marksmanship and dynamic range training. 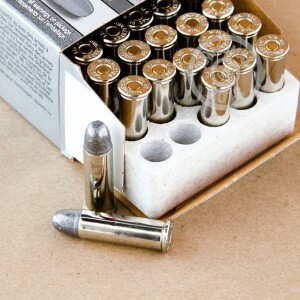 This ammunition is loaded in Oxford, Mississippi and uses non-corrosive Boxer primers and brass cases. Each casing is also re-loadable, offering additional savings to re-loaders. 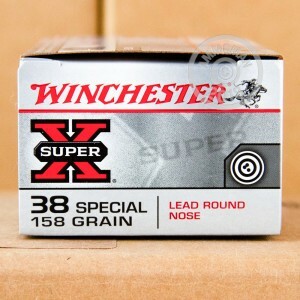 Winchester is known for producing some of the highest quality ammunition in the world. Throughout their history, they have supplied many weapons and ammunition to the U.S. military.